This is a guest post by Ward Farnsworth. Ward is the dean of the University of Texas School of Law, as well as the author of a new book, The Practicing Stoic. After our well-received interview with Ward, we wanted him to clear up in more depth how Stoicism is often misunderstood. My new book, The Practicing Stoic, seeks to weave the words of the ancient Stoics, and those who have been influenced by them, into an accessible modern course on the subject. This post, adapted from the book, mentions a few of the many common misconceptions about the philosophy and counter them with some things the ancient Stoics actually said. 1. Stoicism has sometimes been thought to counsel a withdrawal from the world. Nero was a prolific executioner—of his rivals, of his first wife, of his mother, and of various others (finally including Seneca, who was said to be part of a conspiracy to assassinate Nero, and whose suicide Nero therefore directed; the incident is the subject of a fine allusion in The Godfather Part II). So one may wonder if Plutarch wrote that passage with some irony. But what the “greater moderation” of Nero looked like in this case is not recorded. 2. Some imagine Stoicism to be a grim or humorless approach to life. This last passage involves a pun that does not translate well literally. Cato really told Lentulus that they were wrong to say he had no mouth; it was a play on words in Latin. I’ve sought to suggest something equivalent in English. In any event, it’s too bad for our political culture that the spirit of Cato is in such short supply. 3. Some people imagine that Stoicism involves for an unfeeling approach to other people. 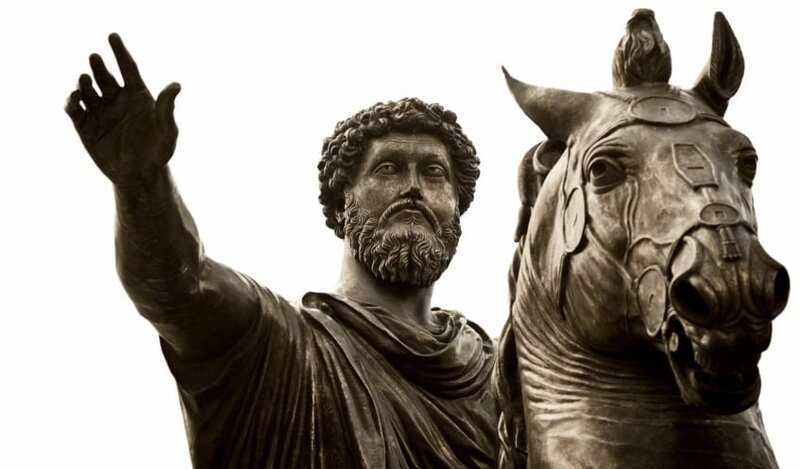 Many Stoic teachings overlap with the central teachings of other philosophical or religious traditions, and these are examples. But the Stoics are able to get there by a route that involves reason rather than faith, and that many people find more appealing on that ground. These notes were adapted from The Practicing Stoic.